Voice over Internet Protocol (VoIP) technology refers to a series of transmission capabilities that make voice communication over the Internet a reality. VoIP allows computer users and businesses to make telephone calls from a desktop computer equipped with a VoIP phone. Internet telephony offers services and benefits unparalleled by traditional phones. VoIP does more than lowering costs. It also enables the user to integrate software programs, such as e-mail, e-fax, and remote conferencing over the Internet via a telephone. VoIP users can take their phone anywhere, making it possible to hold telephone conversations at any venue that offers an Internet connection. An increase in mobility assists individuals who are always on the move, especially corporate employees who are required to travel. Long distance VoIP calls are also relatively cheaper than traditional cellular or land-line phone calls. VoIP technology can increase the productivity of an organization by allowing their employees to multi-task without interruption. It also allows the organization to allocate funds usually spent on traditional phone bills to other aspects of the business. VoIP also allows users to attach documents, conduct virtual meetings, and share data via video conferencing. VoIP technology has also enhanced voice clarity to make it indistinguishable from traditional telephony. The simplified installation process and mobility of a VoIP system offers a high advantage over traditional telephones. For instance, businesses no longer require separate cabling for traditional telephone systems. It also cuts down on cluttering and fire hazards associated with extra electrical wires. The scalability of the VoIP infrastructure makes it easy to add new components with minimal hassle. Since the transfer of voice to digital signals occurs using software instead of hardware, it makes it easier to alter and maintain the entire system. 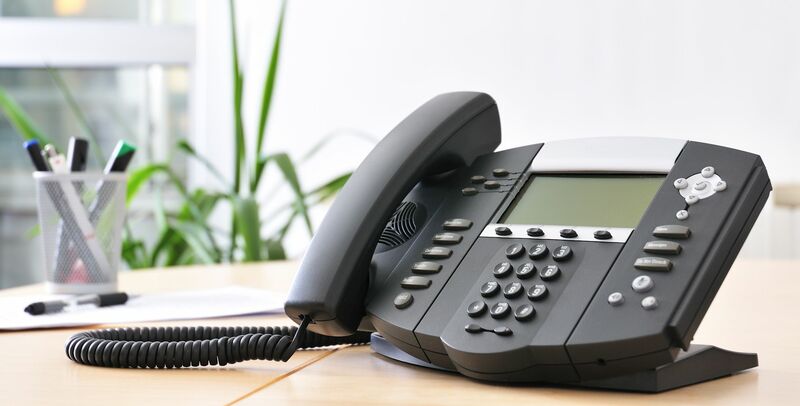 All of these features make Voice over Internet Protocol (VoIP) technology a popular choice among businesses, especially for those lacking computer-savvy personnel.